HCM City (VNA) – Ho Chi Minh City and Cuba hold great potential for stronger cooperation, especially in the fields of trade and investment, experts said at a workshop in HCM City on April 4. Omar de Jesus Fernandez Jimenez, General Secretary of the Cuban Chamber of Commerce, said Cuba is resolved to reform its economy with many open policies and strong changes, aiming to shift from a planned economy to a market one. The move is expected to create more momentum for trade and increase the export of products such as medical services, functional food, high-tech agriculture and tourism, he said. Meanwhile, HCM City has been known as a major economic hub of Vietnam, with busy trade, tourism and investment activities, he added. Fernandez Jimenez stressed that Vietnam, and HCM City in particular, and Cuba have huge potential for collaboration in health care, pharmaceutical products, biology, agriculture, telecommunications, food production, garments-textiles, footwear and consumer goods. Cuba is stepping up specific targets regarding the expansion and diversification of relations with foreign countries, and boosting the export of goods and services, he said, adding that the country is also working hard to improve its investment environment in order to attract more foreign investors. Cuba wants to import more products and services from HCM City like processed food, garments-textiles and consumer goods, he said. Indira Lopez Arguelles, Cuban Consul General in HCM City, said apart from agriculture, Cuba is developing new spheres such as bio-technology, tourism, health care, arts, beverages and professional services in an effort to join the global market chain. She pointed out obstacles hindering economic and trade ties between Vietnam and Cuba such as far geographical distance, cultural differences and lack of information exchange between businesses of the two sides. However, she said, over the past time, Vietnamese and Cuban busisnesses have actively sought cooperation opportunities in economy, trade and investment. Currently, Vietnam is Cuba’s second largest trade partner in Asia-Pacific, with increased bilateral trade activities and diversified imports and exports. 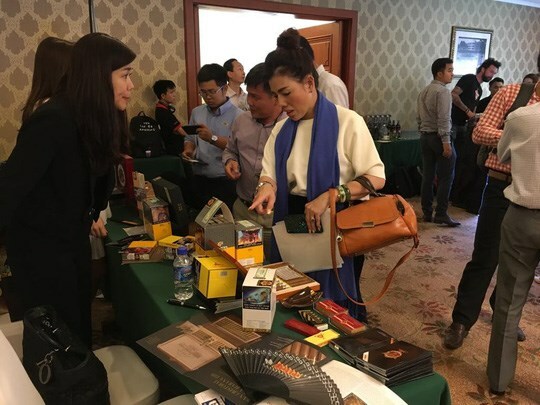 Vietnamese firms such as Thai Binh, Viglacera, Hanel and Tin Thanh have gained a firm foothold in the Caribbean country in the fields of construction, tourism and renewable energy. Pham Thiet Hoa, Director of the HCM City Investment and Trade Promotion Centre (ITPC), said the special relationship between Vietnam and Cuba is developing fruitfully. The friendship and cooperation between HCM City and Cuban localities have also seen progress, with more and more enterprises from the city showing their interest in the Caribbean market, he said.